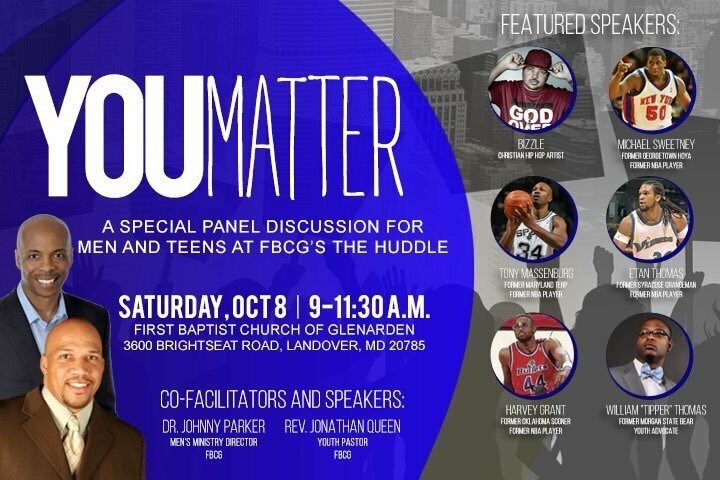 Tipper was invited to be apart of the “You Matter” panel discussion hosted by First Baptist of Glen Arden Church where . It was a special panel discussion for men and teens. The panelist included former NBA Veterans Etan Thomas, Tony Massenburg, and Harvey Grant. The event featured a guest performance from Christian Rapper “Bizzle”. The panel was moderated by Dr. Jonny Parker and Rev. Jonathan Queen.